"Exorcism is still a fact of contemporary life. Every year, more and more people claim that their illnesses are caused by demonic possession. 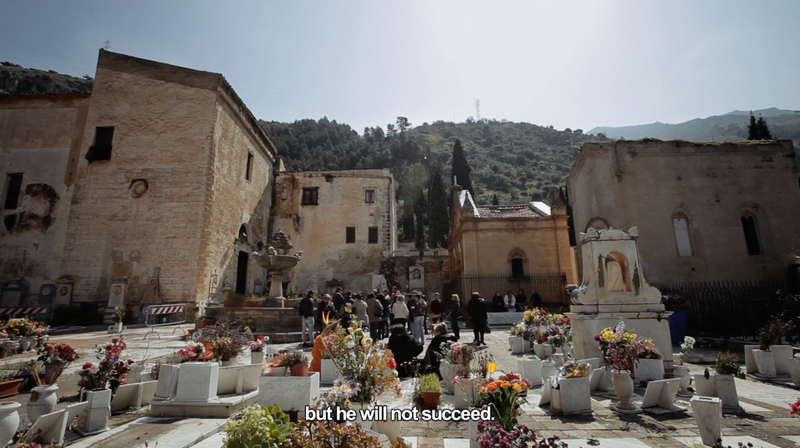 Father Cataldo is a veteran, one of the most sought-after exorcists in Sicily. Every Tuesday, many believers follow his mass of liberation, searching for a cure for some adversity for which there does not seem to be a label or a remedy." This was a fascinating documentary. It fits into the horror camp - I mean...exorcism. Hello. :) The thing that really got me was the fact that people are so into it. Like, all in. I'm not a religious person, but I loved seeing people who are religious jumping in with both feet as Father Cataldo worked his magic. The faith they have in what they believe in was somewhat inspiring. I couldn't think of anything that I had that kind of faith in other than immediate Family, honestly. These folks travel from far and wide to be seen by him and helped. Seeing people who believed themselves caught in the heat of a possession was wild. It's one thing to see our horror movies do it with actors and actresses bouncing around and screaming lines of written dialogue, but it's way different when "real people" are doing it feeling like they are possessed by evil. The flip side was also very interesting - the fact that some of the people were just being talked about as having medical disorders, not a possession, and how they distinguish between the two. A very tricky line. It's also interesting to think that a ways back in the 1500's, many of these people might be "dealt with" in various, sordid ways - being possessed and full of evils. A fantastic and well produced piece. Well worth a viddy for those so inclined. It was very interesting.